Beautiful aquilegia columbine flowers and exotic monstera leaves on white background. Watercolor painting. 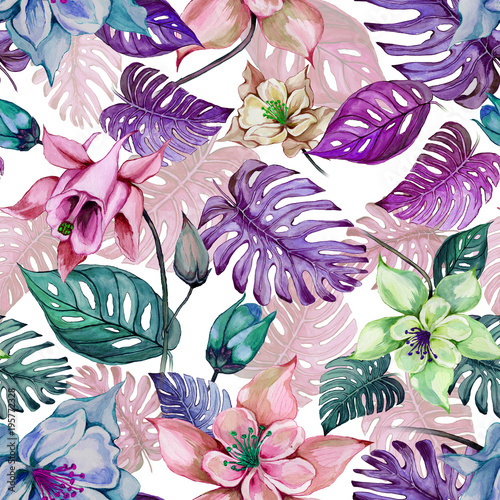 Tropical seamless floral pattern.